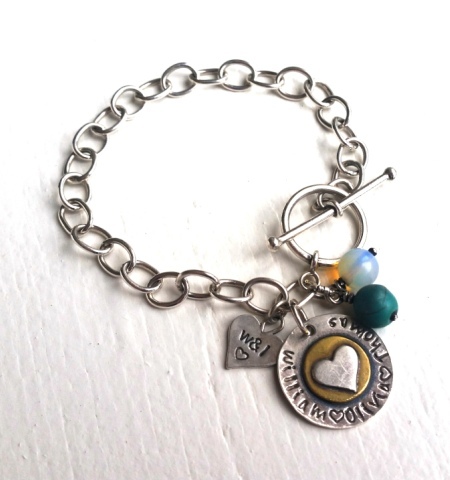 A round sterling silver charm with a silver heart layered on a golden brass disc (pictured here with a Chunky Handmade Bracelet). Stamping is done along the charm's edge. Add this charm to your bracelet or wear it as a smaller pendant. Notify me when Charm x 1 Golden Heart Charms is available.